Devising a Project Contingency Plan is a complex matter which requires a great deal of creativity as well as lateral thinking. Basically a good contingency plan is one whicn reduces the likelihood of a risk occuring, and secondly ensures that should the risk happen, the impact it has to the project is minimsed. 1.0 What Triggers the Contingency Plan? 2.0 Can the Contingency Plan be Resourced? You might think that this question has an obvious answer. Surely a project contingency plan is triggered when a major risk occurs. Now if this was the case that would be ideal because it would mean not having to use valuable resources on something which might never happen. Unfortunately project management is never that simple. There are certain contingencies which due to the length of time they take to implement need to be activated before the risk occurs. Therefore within your contingency plan you need to have some kind of trigger which determines when you kick it off. Now this can be something as simple as say a date when a key decision needs to be made. If this doesn't occur then you need to kick off your contingency plan just in case the key decision doesn't get made at all! Now this is a key point which is often overlooked by project managers. You can have the best contingency plan, but unless the resources are actually available to implement it, then it is basically worthless. Finding experienced resources is always an eternal struggle for project managers. Either there aren't any available in the first place, or the other projects are trying to steal the one's you do have. 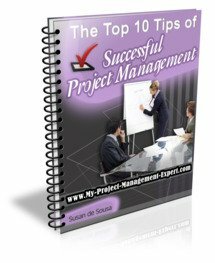 Therefore when a contingency trigger occurs and needs to be implemented, the project manager either needs to re-allocate existing project resources to do this work, with the knock-on effect this will have on the project or else source some more from elsewhere. The big problem is that it is very hard to do this for a risk which hasn't actually occurred yet. Project Sponsor's aren't the most receptive to being informed that project resources need to be taken off key deliverables in order to implement a contingency for something which hasn't happened yet, and which may never happen. The key to remember is that if the risk is perceived as being big enough and highly likely to happen then you have no choice, you need to implement the contingency. The best way to think of it is as in having an insurance policy to cover you should the worst happen. Click here for Part 2 of this section on the Project Contingency Plan. Remember there is absolutely no point in devising a really good contingency plan if you don't understand when you need to implement it in order for it to be effective.